From this article at ZDnet, SD voter data along with voter data from 18 other states, is being sold in hacker forums for $2,500. I’m not actually sure if voter data are public records in SD or not. I would at least expect there would be controls on who could access the data. 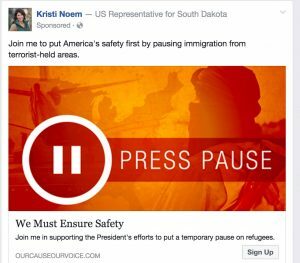 Will Noem defend the 4th amendment? We’ll know soon. This is a follow-up to my previous post about AG Jackley’s Legalized Extortion bill. My original article was written just after Senate Bill 25 had passed the Senate with little opposition. At that time, the bill appeared to be well on its way to the Governor’s office. Then, something unexpected happened. 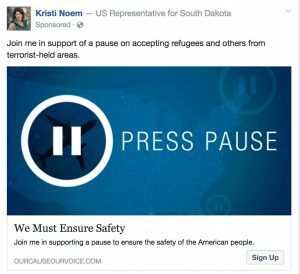 The Noem campaign recently sent an email to their mailing list titled, “Not One Bit”, in which Noem claims that she’s the same person now as when she first went to Washington, DC. 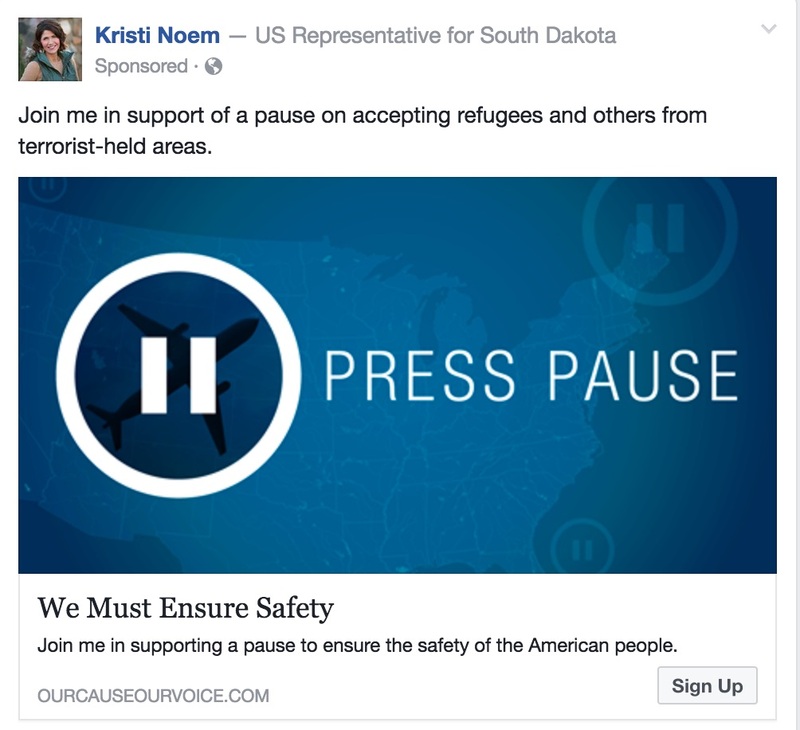 I often lament that Noem isn’t the representative that she used to be, and I suspect many South Dakotans feel the same way or Noem wouldn’t have sent that email. In it, I see the Northeastern United States, a passenger jet pointed downward, and a masked Middle Eastern fighter. It’s clearly aimed at portraying refugees as terrorists and eliciting memories of Sept 11, 2001. Obamacare is a big brown turd. Noem wants to replace it with a big green turd. For years, Kristi Noem has been campaigning against the Affordable Care Act (Obamacare); primarily due to the ever increasing cost of insurance. And now that Republicans finally have the majority to get things done, they’re squandering that opportunity by attempting to replace it with more of the same. Last month Rep. Kristi Noem voted against a bi-partisan amendment that would have required the government to seek a warranty prior to querying the internet data of American citizens. Opponents of the bill politicized the Orlando tragedy in order to defeat the amendment which had passed the previous two years. 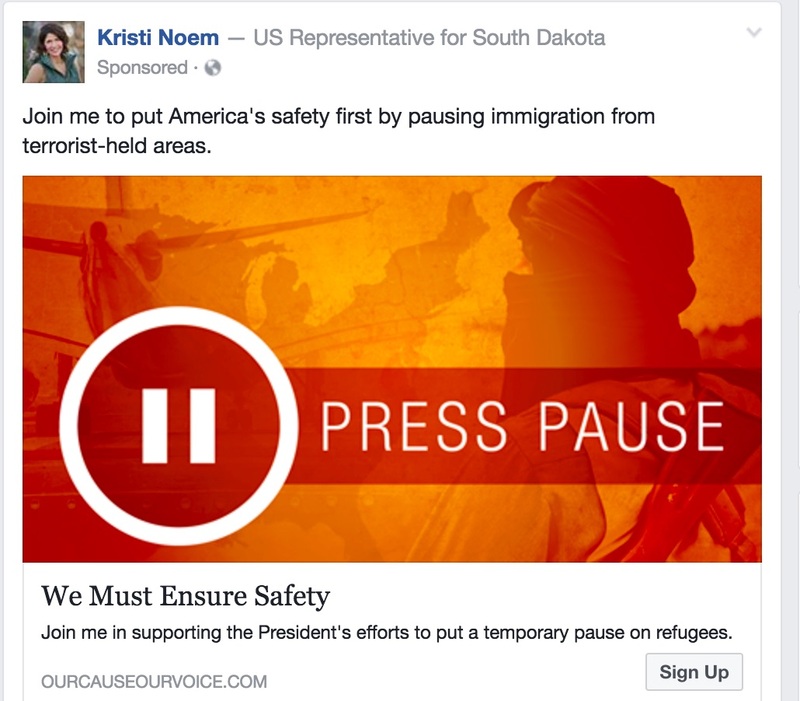 Just yesterday, Rep. Kristi Noem voted in favor of the deceptive H.R. 5606: Anti-terrorism Information Sharing Is Strength Act. Fortunately, the bill failed. As Republican Rep. Justin Amash put it, “… H.R. 5606 will permit the government to demand information on any American from any financial institution merely upon reasonable suspicion.” Reasonable suspicion by the way, is the same legal standard federal officials used when needlessly strip searching a teen-age Sturgis girl. Let your views be known to those who vote on important technology issues.